Laura Bohling, Democrat candidate for State House District 34 and former Rutherford County Circuit Court Clerk, took the time to share her story and ideas with Murfreesboro Review. I reached out to her Republican opponent, Tim Rudd, but he has yet to respond. Remember, early voting has already begun and runs until November 3. Election day is on November 8. 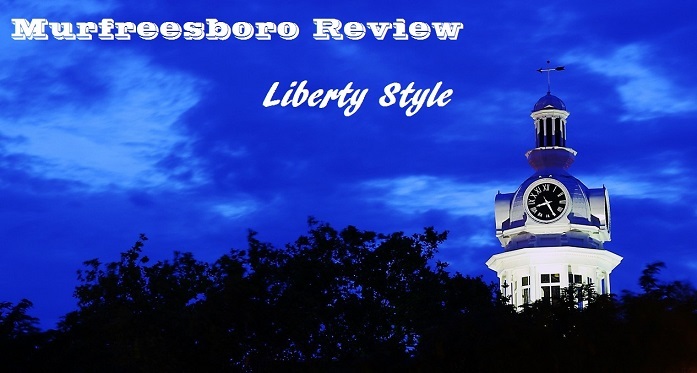 One comment or question that comes up occasionally is: “Weren’t you a Republican?” or even, “Weren’t you a Tea Party Republican?” For the record, I was a founding member of Campaign for Liberty in Rutherford County – definitely NOT the Tea Party. I leaned to the right because culturally that is where I thought I was supposed to be, but I was never Tea Party. I have always been anti-war (but patently not anti-military) so a libertarian lean in the Republican world worked for me. 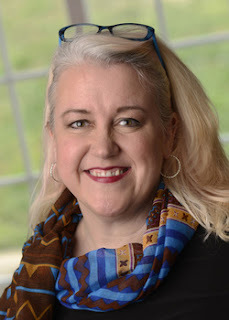 As Circuit Court Clerk (2010-2014), I tried very hard to change the way things worked both in the office and the courtroom like creating job descriptions and performance evaluations, instituting a Collections Department that collected over $2 million of past fines and fees, and working on developing a new computer system. That computer system was ready to go before I left office, but the newly elected clerk did not want it installed until she took office. I offered help through various means – phone call, text, email, friends, business associates, even publically stating I would help in the DNJ – but no help was sought. Of course, as is required in the transfer of officials in a Tennessee Constitutional Office, I left my successor with absolutely clean books – all items able to be paid were, and each court I was responsible for (General Sessions Criminal, General Sessions Civil, Circuit Civil, Circuit Criminal and Juvenile) were balanced to zero and all excess fees turned over to the County. One thing I didn't do well was play the political game. I didn't give in to the Rutherford County political machine, and that meant my re-election was practically impossible. As I served, I realized the Republican supermajority was only interested in maintaining their power, not actually helping people. When I lost re-election in a three-way GOP primary, I continued a journey to my roots that started four years before. Some have claimed, “When you lost your re-election, you jumped ship and blamed the Republicans.” Hardly, I actually actively participated in the development of the Republican Liberty Caucus in the County and the State, serving on both boards after my loss. When my son came out as gay in November 2014, the journey accelerated. I could no longer associate with a party that actively works against my son and people like him. I was raised in a union home, my dad a steelworker and my mom a UFCW member. My first job – the same grocery store chain as my mom. I remember watching my proud dad battle depression after the steel mills shut down. I wondered how far I'd come from that upbringing to be associated with whom I was with now. To be clear, I have wonderful friends who are conservative, Republican, and Libertarian, but the political elites of the GOP don't care about improving people's lives, just spouting talking points and winning elections. I realized that the only place I felt comfortable was at home, returning to my roots as a Democrat. As a candidate for District 34 State Representative, I'm making pledges to show my commitment to the people, not the power. First, I won't take per diems like many of our local delegation do. Second, I won't take the state insurance. This is not a daytime job, this is an opportunity to serve the 62,000 that live in District 34 whether they vote for me or not. As I've talked to folks across the district I've learned that the important things are constant regardless of our political parties: bringing better-paying jobs here to Rutherford County so we don't have to travel to Nashville or Franklin to find them; improving our infrastructure through efficient, bipartisan solutions to cut down on congestion and get ahead of our population growth and working to move broadband expansion out of committee; fully funding our education budget that is $500 million short and reducing the burden on counties and localities; and passing Governor Haslam's plan Insure Tennessee. Many folks are frustrated by the insurance situation in our state – I am too! – but what they don't know is that these problems are directly related to our legislature stubbornly ignoring their responsibility to pass InsureTN. Yes! I said responsibility! $2.5 billion is sitting in Washington because our legislature won't do the right thing. Their inaction means that 7 rural hospitals have closed, eliminating hundreds of jobs and literally putting people's lives at risk because of politics. InsureTN has a required second-year review and a partnership with state hospital systems presents a budget neutral option that provides insurance for 280,000 Tennesseans (as well as 24,000 veterans) in the gap, gives our State Insurance Commissioner a negotiating position not currently available, and provides an average insurance savings of $1,000 per family per year. The choice on November 8th is clear. My opponent is a thirty-year political operative who's worked on campaigns for Rick Womick and Robert Arnold, making sure they got elected without regard for how they would govern. He will assuredly do nothing without first consulting his Republican leaders … because he's actually said as much in print. He'll take no position that isn't politically expedient and beneficial to his ability to maintain power. He is the antithesis of what any voter would want because he would be a fear-mongering, do-nothing representative. You can vote for me. We may not agree on all the issues – in fact, I guarantee we won't. What you will know is that I'll have carefully studied all sides of an issue; listened to all the people I can from all perspectives. You'll know that in the end the decision I've made is one that will benefit the most of the 62,000 people who live here in District 34. This is not another step on a political ladder and I definitely don’t play political games. This is an opportunity to serve the people of Rutherford County – to really make a difference. Folks, it's time for a change. It's time for Common Sense Leadership to be what we expect on a daily basis from our District 34 representative. I would be honored to have your trusted and deeply valued vote. 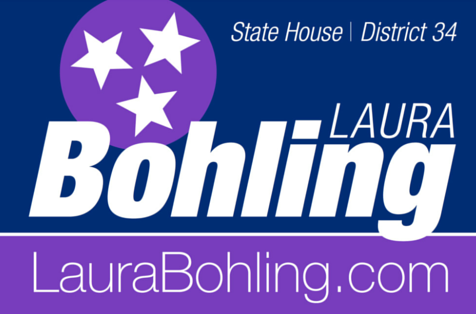 Please consider me, Laura Bohling, as your next District 34 state representative. I pledge that I will represent us with integrity, with poise, and with logic from day one. Remember. Laura Bohling. November 8th! Thank you so much.